Do you often feel that you simply can’t keep up with the relentless stream of incoming emails? If you often struggle to keep your mailbox organized, you should learn how to automatically move emails to a folder in Gmail. Anyone can follow the instructions described in this article and save a lot of time without much effort. Before we explain how to automatically filter emails in Gmail, we first need to explain how folders in Gmail actually work. Gmail doesn’t use folders in the same traditional sense as you may be familiar with from your computer. Instead, folders in Gmail are called “labels,” and each email can have multiple labels at the same time. When an email is assigned a label, the email actually doesn’t move anywhere. It stays in the main inbox but also becomes accessible from a newly created folder. This system of sorting emails is far more flexible than traditional folders, and it makes complex filtering of emails easily possible. Its other advantage is the fact that even when you automatically move daily emails to specific folders in Gmail using filters, you can still see all unread emails in one place, which makes it less likely that you’ll miss something important. Now that we explained how folders in Gmail work, the next step is to explain how to automatically move emails to folder in Gmail. To do that, you need to set up filters, which are essentially rules that tell Gmail what to do with new emails. To create a new filter, click on the small arrow on the right side of the search bar. A small window will appear and present you with a list of search options. The search options you input will determine which emails will be affected by the filter. The example below shows how to filter all emails from the domain google.com. Next, click on the “Create filter with this search” button located in the bottom-right corner and choose what you want to happen when a message that matches this search arrives. As you can see, there are several options, and you can select multiple of them at the same time, but the one we’re interested in the most is the “Apply the label x” option. Either select an existing label or create a new one and click on the blue Create filter button. If you want to, check the “Also apply filter to matching conversations” option to label older emails as well. A confirmation message should appear, telling you that your filter was created. Does Gmail Automatically Delete Emails? On its own, Gmail doesn’t automatically delete emails, which is a good thing since it comes with so much free storage space. But you should also keep in mind that the storage space Gmail offers is shared among all Google services, including Google Drive, a file storage and synchronization service that allows users to store files on their servers, synchronize files across devices, and share files with others. To prevent old emails from taking up too much storage space, you should learn how to automatically send emails to trash Gmail, which should be very easy since you now know how to have Gmail automatically label emails for you. First, log in to your Gmail account and click on the small arrow on the right side of the search bar. A pop-up window should appear. 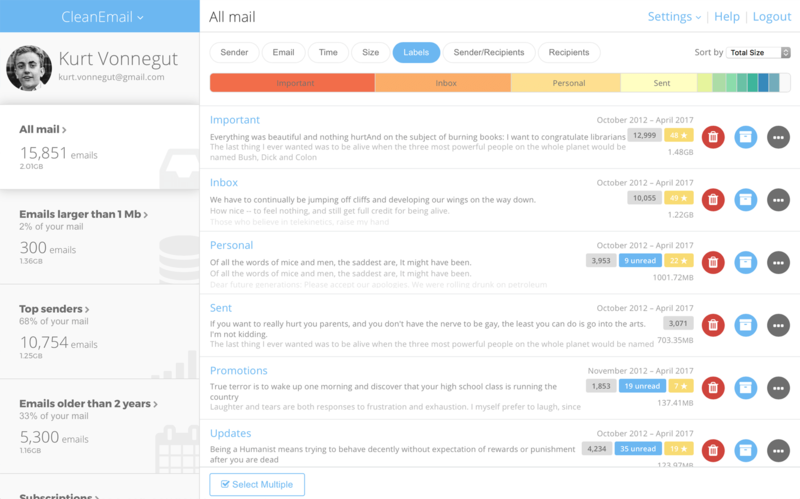 Right at the bottom will be an option that allows you to filter emails by date. Select any date range you want and hit enter. Then, click on the square icon below the search bar and select “All.” Finally, click on the trash bin icon to delete all selected emails. You may need to repeat the last step several times if you have a lot of old emails. Unfortunately, it’s impossible to entirely automate this operation because Gmail requires additional search data to be filled in. There is, however, an excellent email management tool that can greatly simplify the management of your Gmail inbox, and its name is Clean Email. 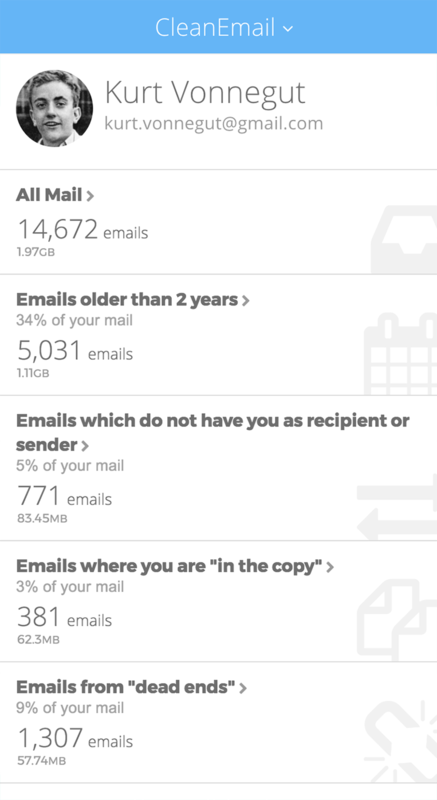 Clean Email is a web-based bulk email cleaner, available for iOS and Android as well, that relies on intelligent, privacy-respecting filters to efficiently group emails based on various characteristics into easy-to-manage bundles. Instead of having to learn how to have Gmail automatically label emails, Clean Email can accomplish all the heavy lifting for you, so you can clean up all useless emails with a few clicks. Clean Email supports Rules Automation for Gmail, iCloud, Yahoo, Fastmail, Outlook, Hotmail, Office365, AOL, or any IMAP email provider, allowing you to apply any action to new emails coming to your mailbox without any manual work. Let’s say you receive at least a dozen emails from a social network, and you’d like to move them to trash automatically as soon as you receive them. To do that, you simply let Clean Email analyze your email account (Clean Email protects your privacy and never reads the content of your emails), delete the bundle of emails from the annoying social network, and check the checkbox labeled as “Apply this action to all matching emails in the future” when applying the action. This is how easy email management with Clean Email can be. Of course, you can automate other actions as well. For example, you can mark emails as read as soon as you receive them, label important emails so you don’t miss them, or unsubscribe from newsletters and marketing campaigns with a single click. Given the vast quantities of email messages most users receive on a daily basis, it pays off to learn how to automatically filter emails in Gmail and use bulk email cleaners such as Clean Email to get rid of junk before it becomes overwhelming.